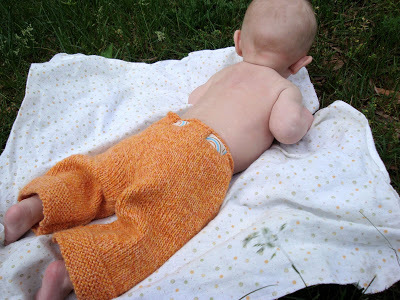 You might remember that I knit Oscar a pair of pants while I was pregnant. And of course now that it is 90 degrees they fit! We decided to spend sometime outside taking pictures to prove that he actually wore them so I can have that special something to pass on. The works of my hands if you will. 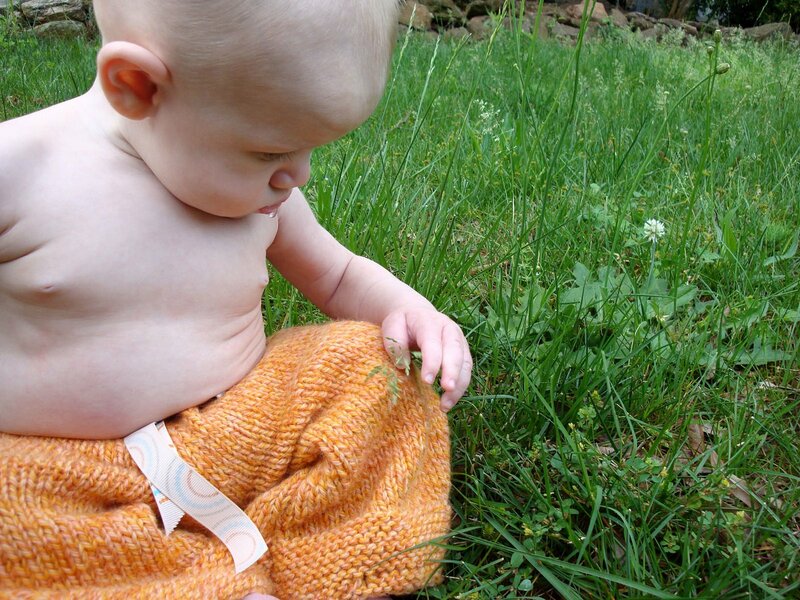 I don’t know that I will ever knit another pair of pants. Not to say I won’t ever make Oscar more clothing. 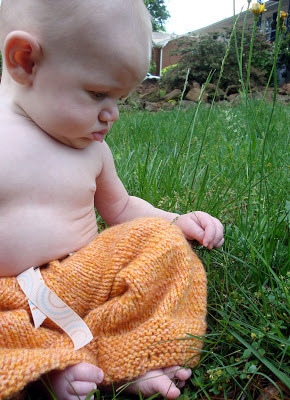 I have lots of ideas, but knitting takes a LONG time for me. Add that to the possibility of never having the opportunity to wear said project and that’s a little too much of a gamble. I was there when you finished knitting those! So cute. Love the new look, especially the banner!